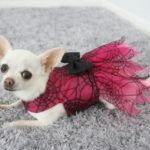 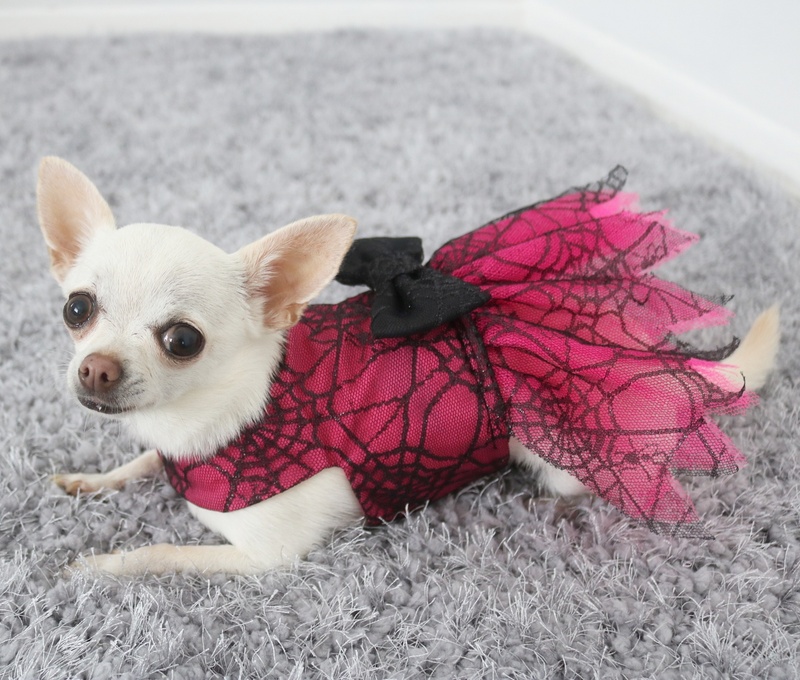 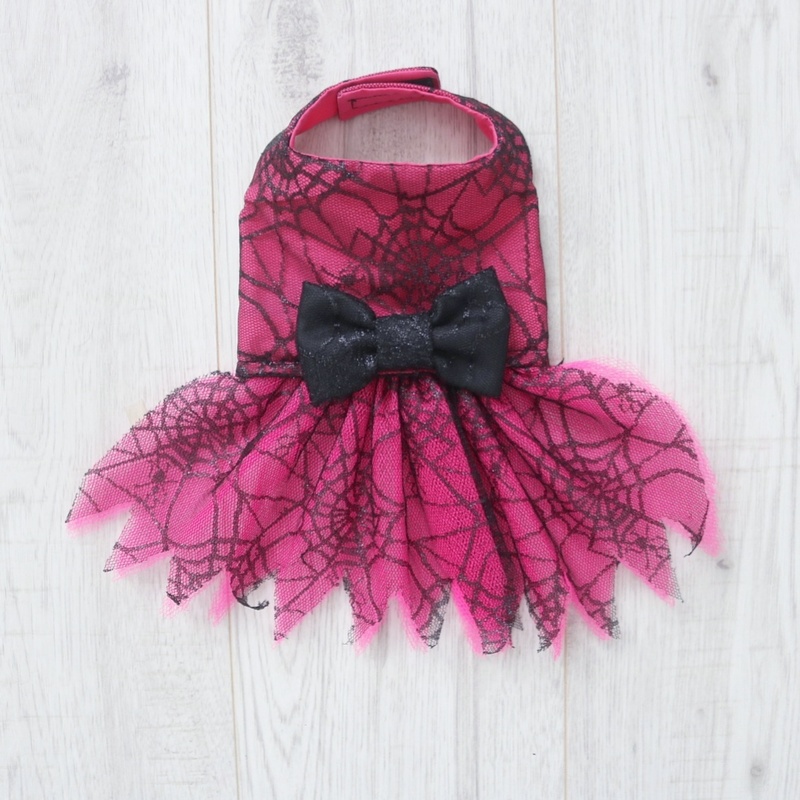 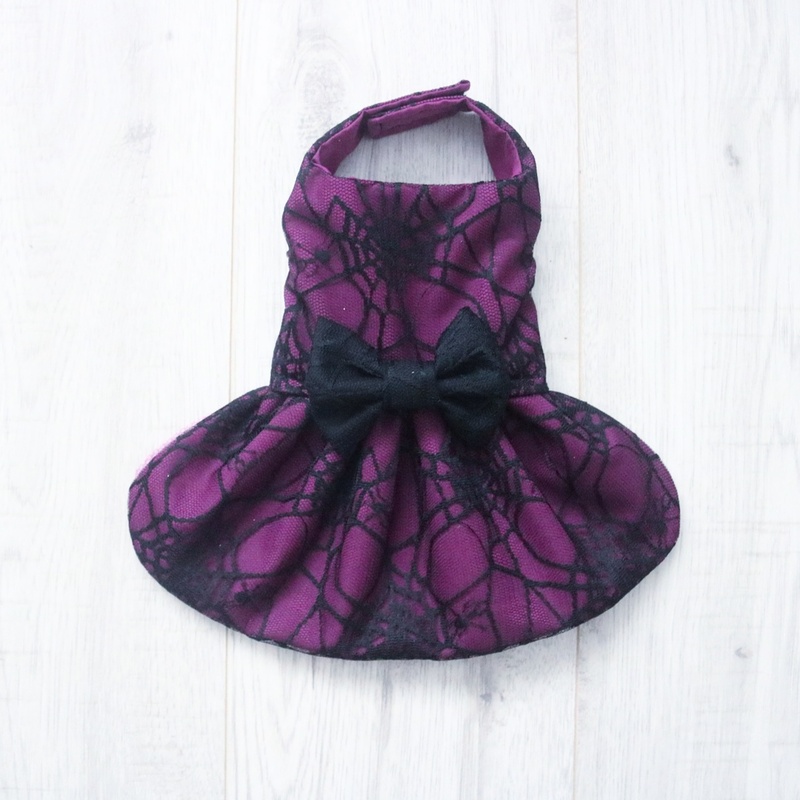 Halloween dog dress in fuchsia pink with black cobweb lace overlay on top. 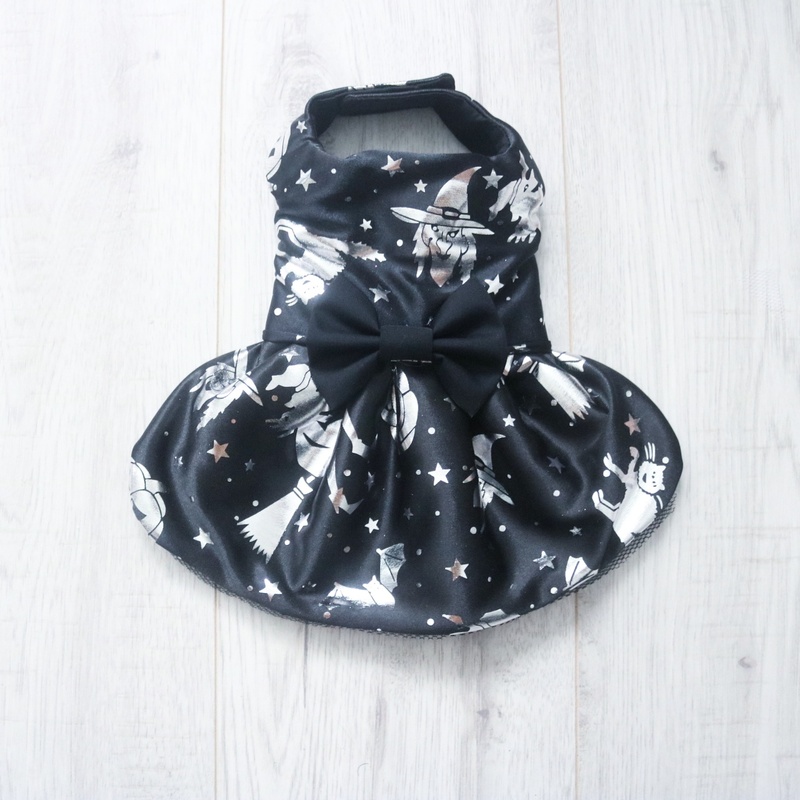 Features a black bow. 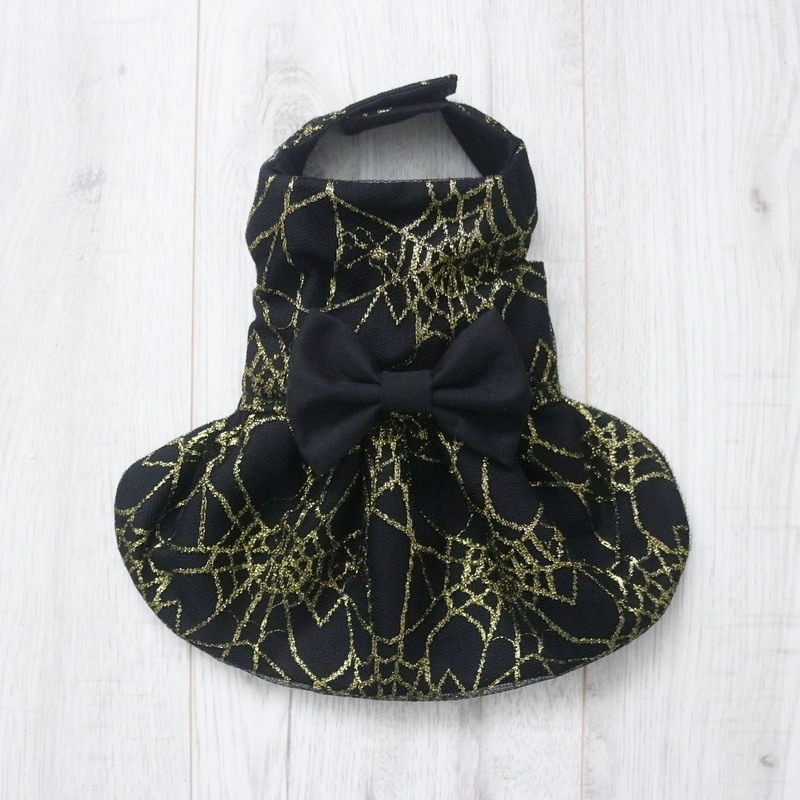 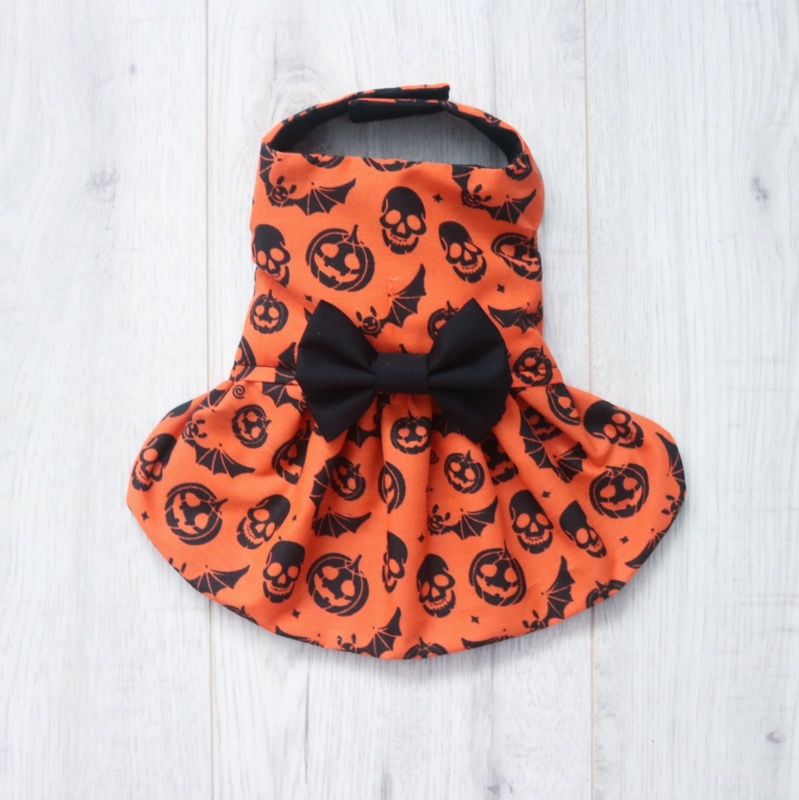 Perfect for getting into the halloween spirit.